The 40+ page website that you will recieve instantly, upon sign-up, will simply amaze you. It is loaded with content specific to thrift stores, and specific to you. When you sign-up, your website is automatically created for you. Our software will pull information about your business from your sign-up form and automatically populate your website with it. For instance our software will generate a Google Map and have it loaded with your business location. You don't have to do anything, it is already done when you sign-up. The Google Map is just one of the thrift store tools. 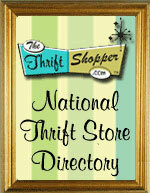 Take a look at all the tools/pages that will be created for your thrift store. Don't forget we also do custom templates and work! With one click you can choose to use each of these pages or not use them. You are not limited to just these pages either. You can create any other kind that you would need. As a matter of fact you can have unlimited pages. Check out our Demo Website to see a sample!